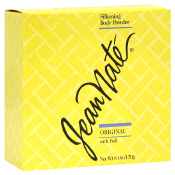 Gen Xtinct: Classic Clip Monday: Jean Nate, Jean Nate! This commercial made me think that once you grew up, you just pretty much drenched yourself (and your bathroom) randomly in something called after-bath splash. And then went out and won the Kentucky Derby. This ad is such a classic, and I can still smell the stuff. In 10th grade I went on an overnight field trip. I dumped out the contents of my mom's Jean Nate bottle and turned it into an impromptu flask. NOT A GOOD IDEA. Part of my mom's bathroom ritual as long as I remember! I always saw that in her bathroom. I'm still not sure how "splash" works. It sounds messy! Lots of ads from the 70s were about covering up stink- bath splash or Shower-to-Shower. Was the economy so bad that people didn't bathe regularly?